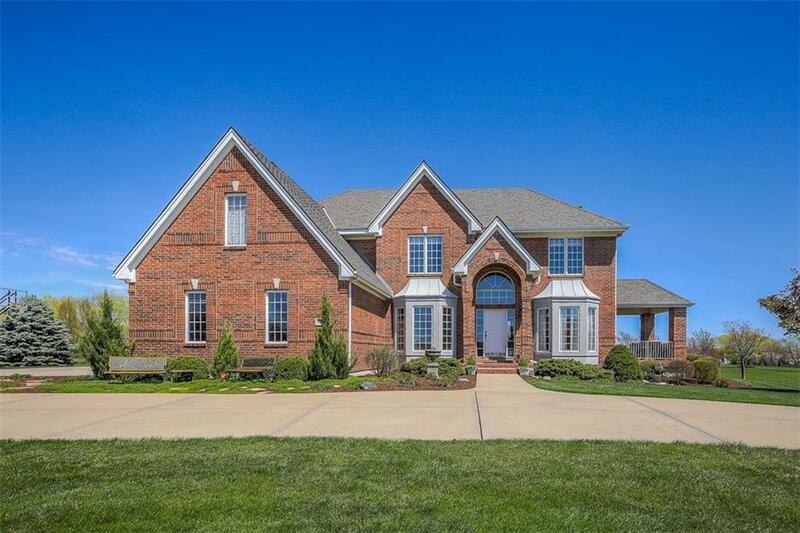 This stunning ALL BRICK home sits proudly on a well manicured estate-sized lot in the highly sought after Mill Creek Grande. The beloved Lambie-Geer 2 story has been expanded and boasts over 5,000sf of incredibly usable living area. Enjoy the beautiful sunrises or sunsets on the large side porch, or entertain countless guests on the oversized free form patio! The finely finished basement provides multiple living areas, a wet bar, 5th bedroom, bath and exercise room. THIS BEAUTIFUL PROPERTY IS A VERY RARE FIND! Directions: 119th Street west of Woodland to Pine (Mill Creek Grande entry monument), north to home.